Across species, there’s one thing that almost all creatures have in common – the mother creature loves and nurtures her children. Some might take less time than others, but generally, it is the mothers that show their children how to survive in the big, bad world. They feed them and protect them and teach them everything from hygiene to hiding to hunting and foraging. Everywhere in nature, we can see animals and their babies and it is always the sweetest thing in the world. 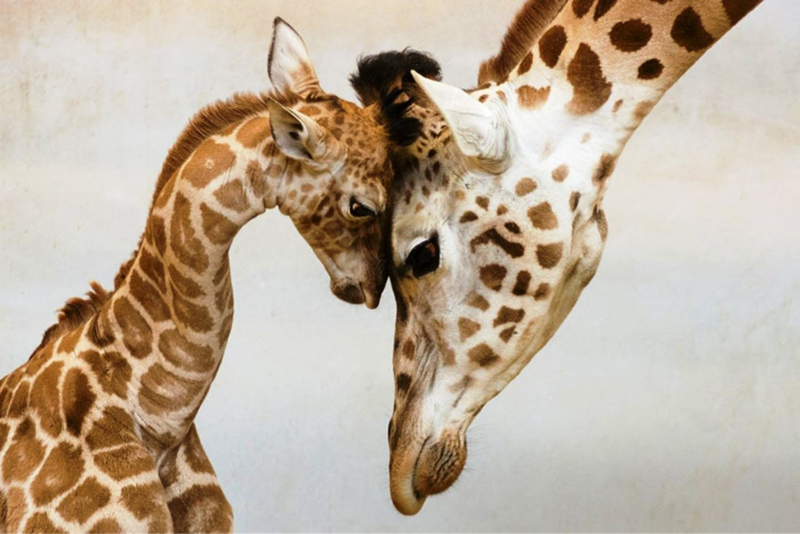 While humans may have more clearly defined and extended family units, animals too have a sense of family and bonding. They make friends within their own species and some even develop bonds of affections with other species, even in cases of predator and prey. Many of us are aware of how deep these feelings of love, empathy, etc. are. We are not sure about the communication abilities in other species besides humans. But, many experts have found substantive proof that many species are far smarter and emotionally complex than we give them credit for. It may not be surprising to associate these factors with apes which are much closer to us evolutionarily, but kindness and compassion have been seen in other creatures like fish, chickens, and rats as well. When it comes to animals as parents, they are divided into two subsets – R and K.
The former gives birth to a lot of babies simultaneously and they mature quickly. For example, felines and canines give birth to litters and their offspring gain independence when they are still very young. The latter give birth to few and these babies are slow to mature and grow into adults. They require more affection and nurturing and their needs are similar to those of human children. This puts mankind firmly in the K group along with animals like elephants and apes. The following photos show the love shared between animals and their babies across a variety of species. 3. Life Getting You Down? 19. Safe To Eat, Mommy? 24. Don’t Tell Mom, OK? Do you find these animals and their babies adorable? Comment us below!